The books in The Generals series from Thomas Nelson consistently rank as some of my favorite biographies, given my love for history and for historical warfare in particular. 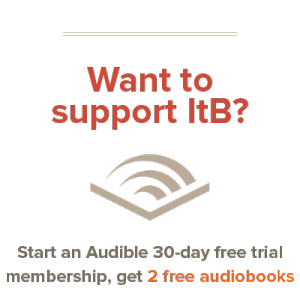 The latest entry, telling about the life of Andrew Jackson, promised to be interesting. Jackson’s a controversial character, so I opened the cover with eagerness, but some trepidation also. The opening introduction to the Generals series talks about how American public perception of military heroes has shifted between raw admiration to total condemnation, and it talks of how we’ve struck a medium now: able to learn from them, but also recognize their flaws as humans. I think Jackson, by Paul Vickery, does that admirably. Perhaps the most admirable aspect of Jackson is his incredible ability to pull himself up by his bootstraps. 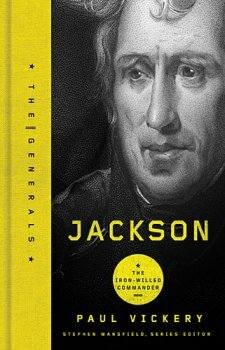 Orphaned at age 15, Jackson as a general and Jackson in the White House was truly a people’s man, and he brought a lot of reform to a government that had up until that point been mainly exclusive. His very strict sense of duty and honor also contributed to make an excellent president and general. But some of his accomplishments are also very polarizing, mainly his treatment of Native Americans as the new United States expanded outwards. I believe that Vickery does an admirable job of presenting this chain of events impartially: given in the context of Jackson’s campaigns and his thought processes, the reasoning behind some of the decisions make more sense than if they’re told about in the average history textbook. Still, intentions can’t be judged when actions were involved: this is definitely an area where Jackson made many mistakes. Another area I find especially admirable is Jackson’s long-standing love for his wife and his continuing devotion to her, to the extent of dueling to protect her honor. Say what you will about ‘outmoded’ practices of dueling and honor, a man who loved his wife is an example we need more of in this world. Vickery writes Jackson with clarity and precision. His facts are backed up with a lengthy bibliography, a standard inclusion in the series, and he keeps an impartial stance. I appreciated his labeling of certain quotes and letters as “classic Jackson” — helping to better build an image of this man as he was in real life. I love the Generals series because it shows men of faith that were also men of action. Though it’s not true of all of them, and of all aspects of all of them, these men are heroes: to be admired and imitated. The Generals series is a great way to get an introduction into the lives of these men, backed up by solid facts and overall great writing. Excellent review. I haven’t read any of the books in the series… but I probably should. You probably should, just as I should read the books you review. We’re too good at finding good books.